Apart from St Kilda being my favourite football teams it is also a suburb 10km from the centre of Melbourne and it is full of energy all the time. Here are 5 things to do in St Kilda. Everyone loves the beach! 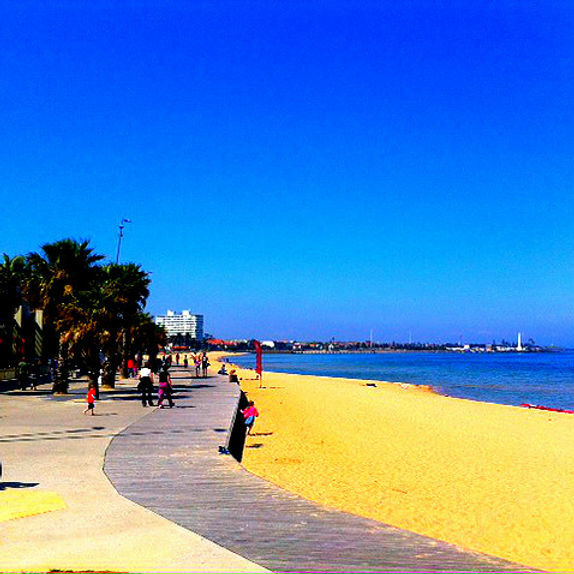 With cafes and restaurants on the beach, skate park, boardwalks, sand, water, sunshine.... what's not to love! Oh maybe the sunburn might not be ideal! 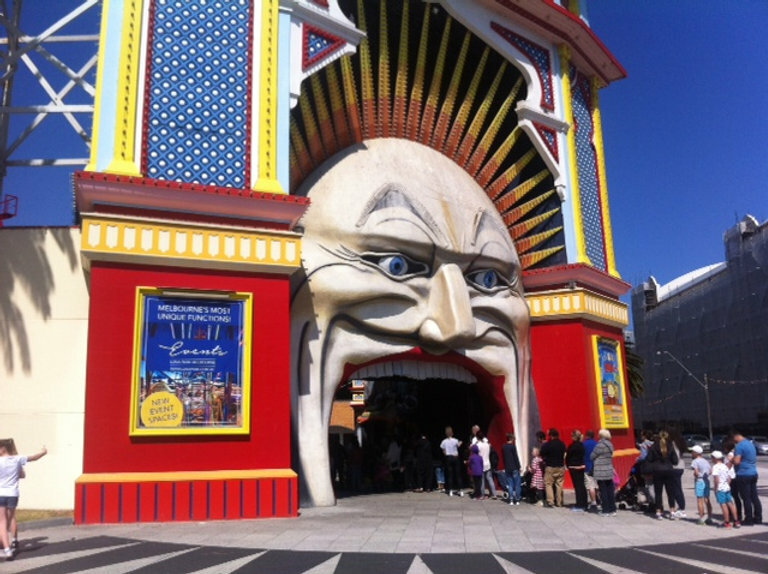 Take a walk on St Kilda Pier to the Pavilion or along the boardwalk in either direction. Or have dip the water! Or even better, grab some fish and chips (and potato cakes and dim sims) from Acland Street and sit on the beach and watch the sun go down. Plenty of options to choose from, go for a stroll and see what places takes your fancy! Restaurants open until late, and coffee is open from early. So life is sorted here. The only theme park in Melbourne, and only one of two Luna Parks in Australia that still operate, the 100 year old scenic railway will make you feel like a kid again. If you're not a rollercoaster fan, there are many other amusements from your childhood on offer. Why not?! You've got the Palais, the National and the Astor Theatres in St Kilda. Locals love the Palais - old 1920's style theatre with modern bands and good times. If there's something on that you enjoy, head along! The National is the arts school and the Astor is at the furthest end of St Kilda way from the beach and is a 1930's style cinema that shows both the old and the new films. Many kite surf operators are located on the Port Melbourne side of St Kilda, check them out, and try something new! Now I've never tried kite surfing, but from my surf lifesaving days I have seen a number of these kites get lost at sea in high winds... so maybe pick a more calmer day to try it!